Obituary – Henderson, Billie Ruth (Ross) « Perry High School Alumni Association, Inc.
Glee Club 51-52, Librarian 52-53, Assembly 51-52, Assembly 52-53. 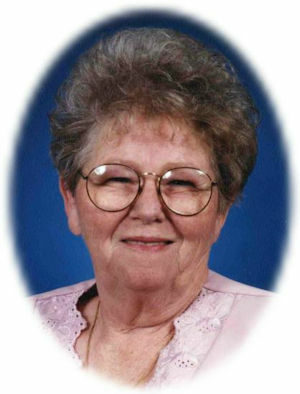 The funeral for Billie R. Ross Henderson, 70, of Perry, will be 2 p.m. Monday at Perry Church of Christ. Gerald Stewart will officiate. Burial will be in Grace Hill Cemetery, Perry. Arrangements are by Brown-Dugger Funeral Home, Perry. Family visitation will be 6 to 8 p.m. Sunday at the funeral home. She was born Jan. 2, 1936, in Cleveland to Denzil E. and Martha O. Harris Ross and died Thursday, June 22, 2006. She moved with her parents to a farm east of Perry at age six months, later moving into Perry where she attended Perry elementary and junior high schools, graduating from Perry High School in 1955. She worked at Foster’s Corner Drug Store during her high school years. 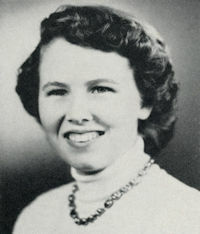 She married Samuel “Sam” Henderson Feb. 12, 1956, in Perry. She worked for Charles Machine Works Inc., retiring in 1996 after 23 years. She was active in Perry Campfire Girls programs and served as co-president of Perry Band Boosters Club for two years. She was a member of Perry Church of Christ. Surviving are her husband, Sam, of the home; two daughters both of Perry; six sisters, one brother of Blackwell; and four grandchildren.